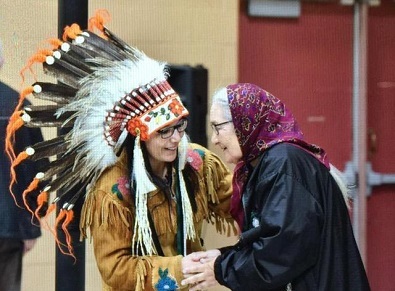 The Chief of the Lac La Ronge Indian Band is impartial to a Cabinet shuffle, which saw a new Indigenous Services Minister appointed. On Monday, the Prime Minister adjusted his team, appointing incumbent Indigenous Services Minister Jane Philpot to Treasury Board and moving Veterans Affairs Minister Seamus O’Regan to Indigenous Services. Philpot was Minister of Indigenous Services for approximately 18 months. Chief Tammy Cook-Searson says she was not shocked at the shuffle, as it is normal practice in politics. “There are always different Ministers that are appointed to different portfolios and it’s just part of the government I guess. It’s something that whether it’s federal or provincial governments or within our FSIN,” Cook-Searson said. Regardless of whom the Minister is, Cook-Season says it’s important for the First Nation to develop a good working relationship. “We had a really good working relationship with Minister Jane Philpot. We always try to establish a working relationship with any Minister that is appointed to that position, because it’s obviously something that is key to our First Nation, and we’ll be doing the same with the new Minister,” Cook-Searson explained. Despite the shuffle, which will cause delays as O’Regan becomes adjusted to his new role, Cook-Searson says the First Nation will remain focused on completing water treatment, fire protection and addictions treatment infrastructure with department officials.